June | 2014 | Love Those "Hands at Home"
Our friend, Bob, graduated from high school on Friday, June 27, 2014. That might not seem like such a big deal except, you see, Bob is 88 years old. 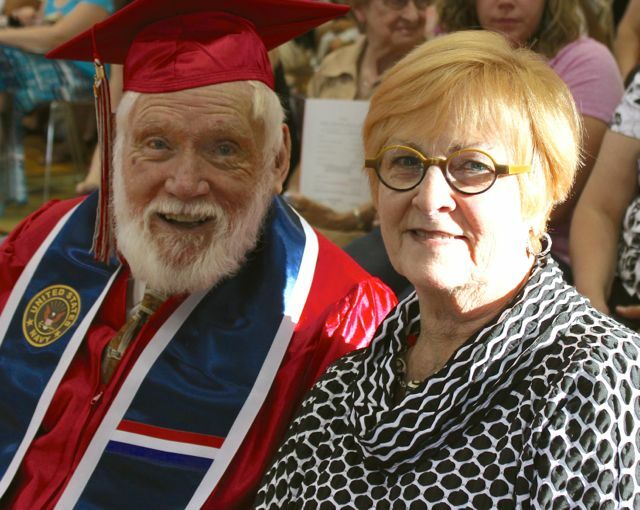 On the day he should’ve graduated, 70 years ago, he was otherwise engaged, fighting on behalf of America and her Allies in World War II. Some of you will remember Bob from a couple of months ago, when he went on an Honor Flight to Washington, DC. Having read that story, you might’ve thought it would be impossible to top that day in May! But, thanks to a man named Richard, Bob has experienced another day filled with honor and joy! Richard is the sheriff of an upstate New York county and may go down in history as the most thoughtful guy ever. 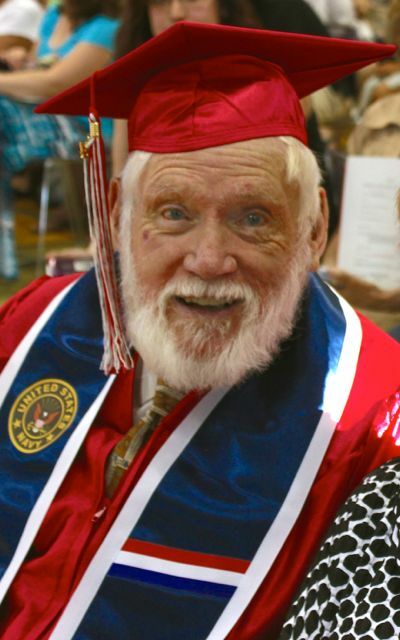 He is the person who accompanied Bob as his guardian on the Honor Flight and, on that day, he heard Bob mention that he had never graduated from high school because he had enlisted in the Navy. 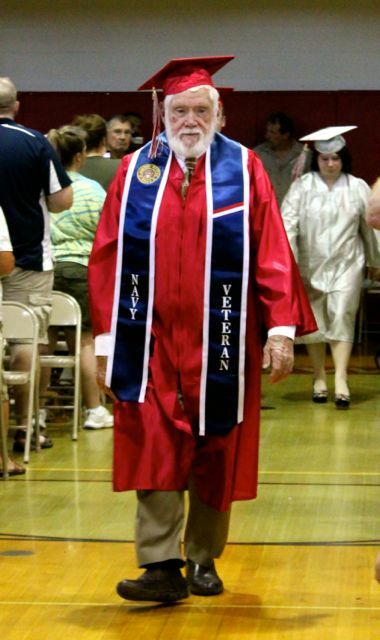 Richard was familiar with a program called “Operation Recognition,” which authorizes school districts to grant a high school diploma to any honorably discharged veteran who served in the United States military during World War II, Korean Conflict or Vietnam War. 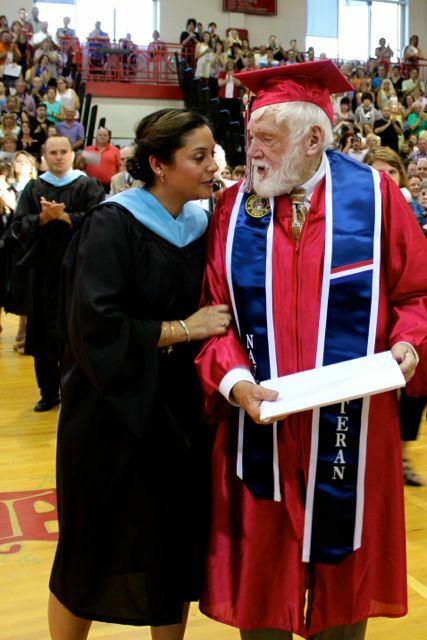 Richard contacted our school district and they enthusiastically agreed that Bob should graduate. They took care of everything and made Bob feel like the hero in his own fairy tale. 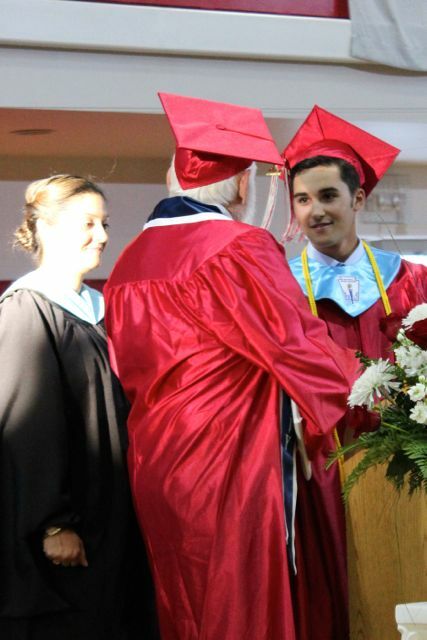 A solo walk down the aisle, leading in all graduates of the class of 2014. Not one, not two, but three standing ovations, as members of the audience spontaneously and repeatedly leapt to their feet to honor him. 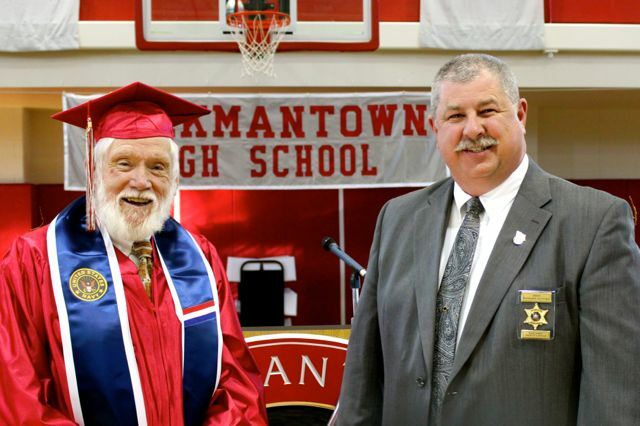 A gift from the class of 2014—a $500 donation, in Bob’s name, to the Honor Flight organization. 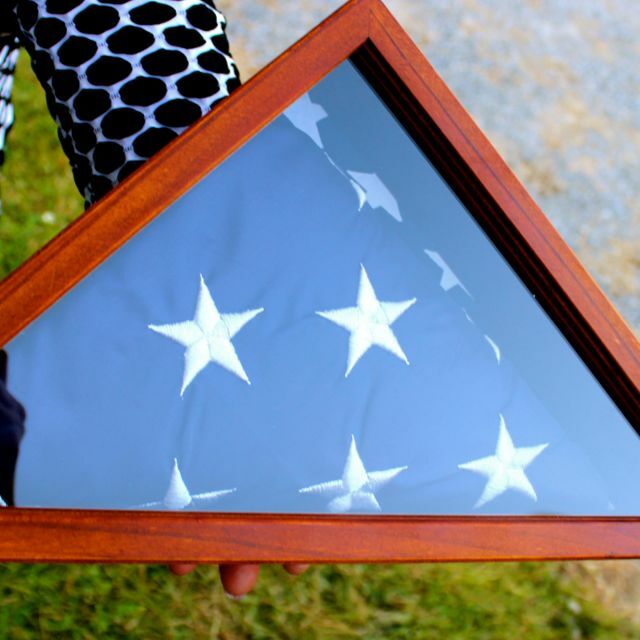 The presentation of the flag that flew over the U.S. Pentagon on the day of his Honor Flight trip. 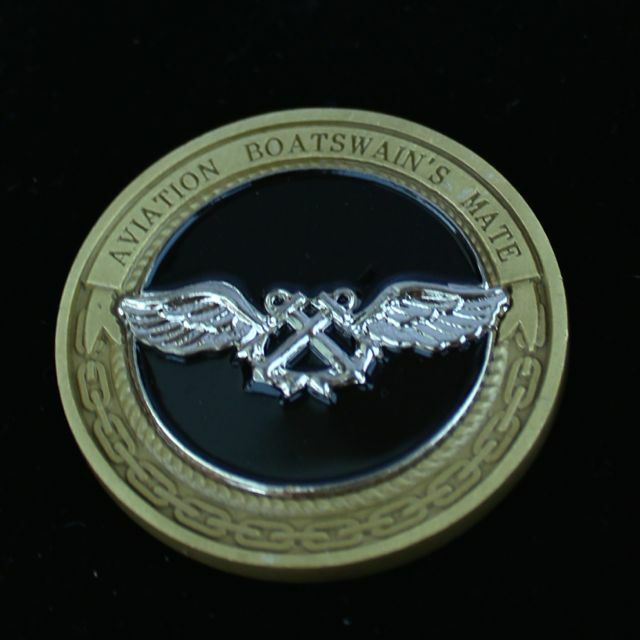 A medal representing his Navy occupation of aviation boatswain’s mate. And, of course, his diploma. The biggest highlight for those of us who accompanied Bob on his big day? His unalloyed pleasure at being recognized so generously and fully. As we had dinner after the ceremony, we joked that this just proved that, if a person waits long enough, he can graduate without taking a test. But, of course, we all know there was a test. A big test. A test that far exceeded any we ever face, those of us who stay home in our own country, safe and secure, and who finish high school on schedule. It was a test that no amount of studying could’ve prepared those boys for, the ones who, like Bob, left school to defend their country in World War II. And we are where we are today because they, as a fighting force, aced their exam. The boys who left school were the men who came home or, in so many cases, died even as they passed their test. On Friday night, it was as if we honored them all, all those boys who sacrificed so much. It was the very least we could do, after all they did for us. Today is the day! 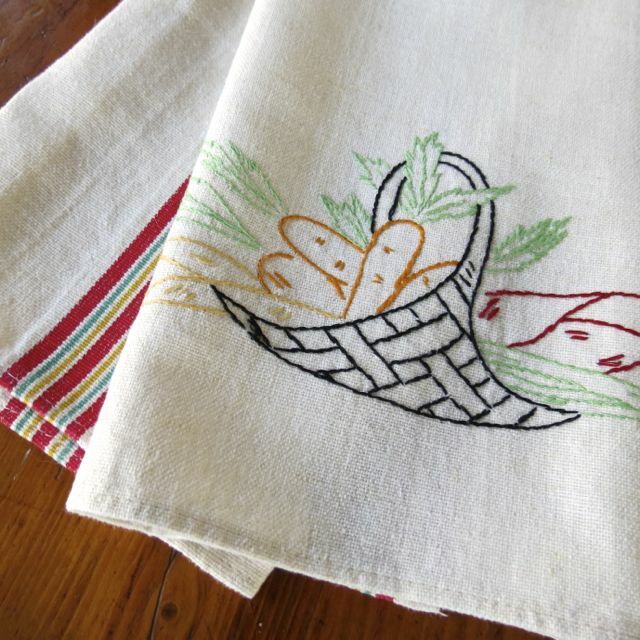 I’ve randomly chosen a fine new home for the pretty hand-embroidered vintage towel I wrote about last week. I had been feeling sorry for this little towel because it seemed no one appreciated it but many of you showed it so much enthusiasm! Your excitement warmed my heart and made me wish I had many towels to give away! The winner is Sheryl, who writes the blog A Hundred Years Ago! 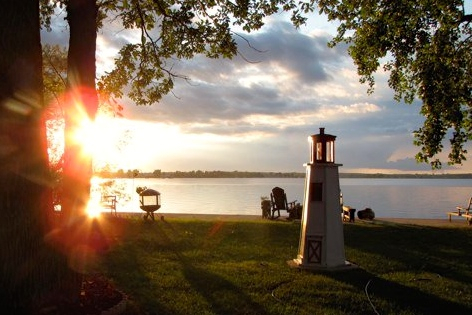 In her blog, Sheryl shares diary entries written 100 years ago by her grandmother, who grew up in rural Pennsylvania. If you aren’t familiar with the blog, you should check it out–it’s fascinating! Congratulations, Sheryl–you and your husband can use the towel as you chat while doing dishes! Please send me your address; I can be reached at kerrycan2@gmail.com. I’ll mail the towel and the handmade balsam sachet this week! Thanks to all of you who entered. We’ll do it again soon! Pride Goeth . . .
I’ve heard it said that bad things come in threes. If that’s true, what can we expect of annoying things? Do they come in fives? Eights? Eights to the nth power? We’re in one of those pesky annoying stretches around here. First, it was the brakes on the car. Again. They grind and make other scary sounds. The car is, admittedly, 12 years old but still. Then it was the water heater, refusing to do what water heaters are designed to do. Then it was the sump pump, giving notice that it had been worked too hard and was retiring from service. The sump pump repair guy came yesterday, which meant we had to cancel our planned outing to Montreal’s Marché Jean-Talon, which, in turn, left me blog-postless today. Instead of photos of lush fruit and lovely veg in a fabulous urban setting, you get whining. It’s not my fault. And, as if it wasn’t enough that all the machines around here have decided to break down at once, our craft heaven on the banks of Lake Champlain has turned, if not into hell, at least into a little bit of purgatory. We’ve had twisted threads, uneven tension, and big gloppy tangles of threads on the looms. Color combinations that sounded striking in theory and are oh-so-boring in reality. I have repeatedly lost my place in my weaving pattern (every time a repairman comes to the door! ), at which time I stand and look blankly at the loom and wonder why, why would I want to do this stupid craft anyway? I’ve had to un-weave multiple inches of fabric, which is second only to unquilting in terms of soul-sucking tedium. These are hours of my life that I am never going to have back again. I finally left the loom but even the supposedly super-simple fabric yoyos are tormenting me, refusing to be either super or simple. If purgatory is the place one goes to expiate sins, before being allowed into heaven, I have to wonder what my sins have been? Not sloth—I mean I’m trying hard, I’m just not succeeding. Not wrath—although I admit to feeling pretty piqued about the unweaving. Not any of those other naughty things but . . . I think it must be hubris, over-weaning pride, that’s always gotten me in trouble in my making of things. I start to feel a little cocky, a little sure of myself, and the craft goddesses feel the need to give me a smackdown; they remind me that I am a striver, not an expert in these things. Okay, craft goddesses, are you listening? I get the message! I am chastened! I repent. Now, can I get back to domestic paradise? Please? Do you have days when nothing goes right? What do you suppose neurosurgeons do on those days?! What motivates you? 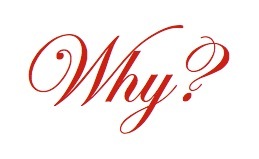 Why do you do the things you do? Why do you make the things you make? So many of us make things. We weave, we bake, we quilt, we “craft,” we garden, we sew, we work in wood, paper, metals, fibers, clay. And, of course, we write. But why do we pick one or two of these expressive outlets instead of others? What draws me to fibers and textiles and you to your medium? How come one thing turns you on but might leave me kind of cold? I’ve been pondering the reasons I make the things I make. I like to be creative. I like to be productive. I like to understand how things work. I like to add something lovely to my world. Okay, well, all of those things might apply to any creative outlet. But they don’t give me any special insight to my own interests. I like to solve problems. I really like my creating to have an intellectual component. I want my brain to be engaged. If someone says, “Oh, this craft is great—it’s mindless,” I’m unlikely to be impressed. So, I seem to be drawn to crafts that have an analytical component and present problems to be wrangled with. I like the math and geometry involved in planning and piecing a complicated quilt design. I like the need to really ponder the exact sequence of steps to be followed in a difficult jewelry design. I am intrigued by, and still overwhelmed, by the endless nuances of weaving structure. They things make my brain hurt. I guess I love that. I also like to make things that will last. I don’t cook at all but I like to bake and make candy very much. I think it’s because, first, baking is rules-based (and I love rules), whereas cooking is much more improvisational. But, more than that, baked goods and candy might stay around for a day or two while cooking gets gobbled up in 20 minutes. The idea of spending a lot of time and energy on a dinner that is just . . . gone depresses me. I make things of metal and stones and fabrics that are more likely to stand the test of time. Those monks who make the sand art, knowing it is evanescent, doing it partly because it won’t last? I admire it but could never, never do it. Same with the people who build fabulous sand or ice sculptures—their art is of the moment. I want mine to be of many moments. I like old, handmade things because they lead me to think of the humans behind them and I guess I hope that someday someone will run their hands over something I’ve made and think of the person who made it. There are vital human connections to be made as a result of our creative output. Taking this a step further, I realize that, in addition to hoping that my art will connect me with people who come after me, I like creative outlets that connect me with human beings who came before me. When I taught college, my academic discipline was rhetoric and public address—the stuff of human communication and persuasion and expression, and just that which Aristotle taught his students in Greece, in the 5th century BCE. As you might expect, I got a lot of blank looks from this. But I always saw a few sparks of understanding, too. For some of us, the thrill in making comes from the thrill of knowing that humans make—it’s a large part of what we do and what we are. And to be making in the same manner, building on and continuing the skills developed through the ages—for me, that’s heady stuff! 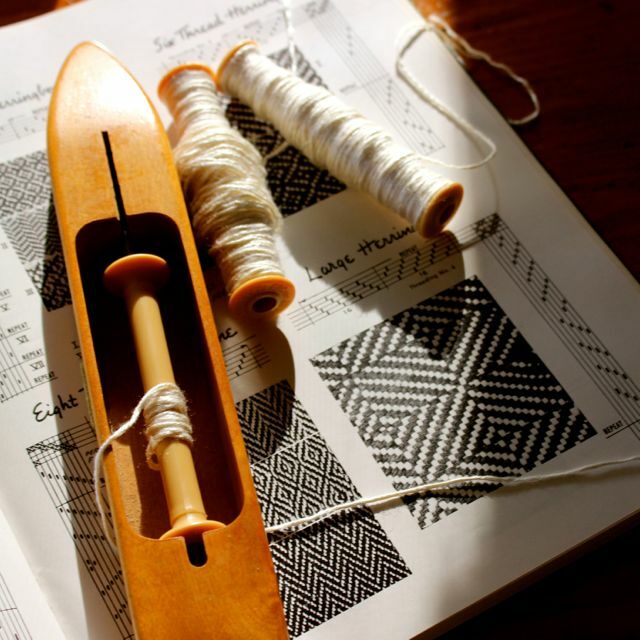 I love reading about the history of craft—how women wove as far back as the Paleolithic era, how exquisite jewelry was crafted without specialized tools, how tiny, ornate stitches were done in candlelight. I love the practical concerns that led humans to develop these skills and, more, the ways in which these art forms were used symbolically. I love the connection I feel to people, women, of so long ago. So different, so much the same. The problem-solving—Writing is never mindless. To write is to wrangle with difficulties. How do I express myself clearly? How do I draw the reader in? What is worth saying, how best to say it? The connection to the past and to the future— All of us who write, not with the idea of the next Great Novel or renown, but just for the pleasure of writing and communicating, are carrying on a great tradition. We’re the Samuel Pepyses of the future, documenting and providing insight to daily life in the early 21st century, reflecting what it means to be human here and now. In an era when people don’t write personal letters much anymore, our blogs become a place to convey the minutiae, the worries, the thrills, the little things that make up our lives. And, when I put words down in my blog and hit “publish,” my words, and any knowledge and insight I impart, become more likely to carry on. My thoughts and my way of seeing things, might, just might, outlast me. I’ve learned in my blogging that these wordy, contemplative posts are not popular. That’s okay—while I work hard to keep my writing reader-centered, I’ve also come to realize that sometimes, as with all my making, I need to please myself. And, as was true with my students, I am thrilled to get the occasional sparks of understanding that reassure me that I’m not alone! If you’ve read this far, have you considered what draws you to the creative choices you’ve made? I’m still working through my thoughts on this and would love to hear from you—why are you drawn to your particular art or craft or expressive outlet? Any of the reasons I’ve mentioned? Or ones I’ve missed? O, Frabjous Day . . . . The “Cot to Coffin” quilt is done! I began this quilt in late January, in response to a quilt challenge my guild was doing. A number of guilds have done these challenges, as part of the commemoration of the 200th anniversary of the War of 1812. I’ve written several posts that give more details about the planning and process, if you’re especially interested you can click on links throughout this post. My personal goals were to a) make something that was meaningful to me, b) try and use fabrics and techniques consistent with what a woman could’ve used in 1814, and c) make hand quilting a big part of the design. Very few quilters in my guild quilt by hand and I wanted to honor the process. 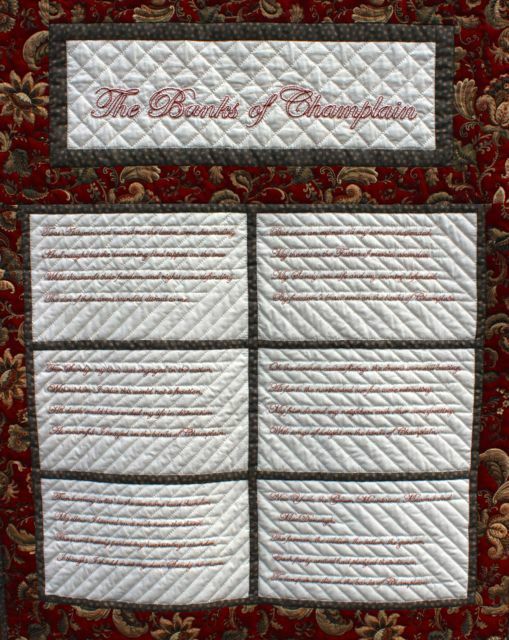 I based the quilt on the words of a song reportedly written by Catherine Macomb. Catherine’s husband, Alexander, was the field general of the land campaign of the Battle of Plattsburgh in September of 1814. The words of the song describe Catherine’s feelings as she watched the battle and worried for her husband’s safety. Very happy with the title stitching! 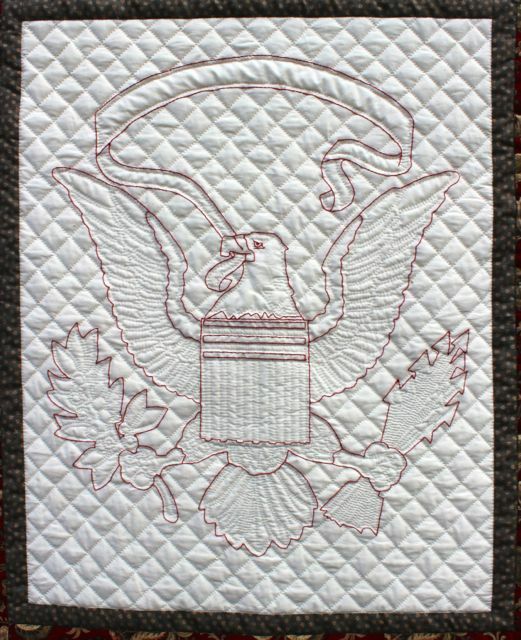 I used the design of the Great Seal of the Untied States as a focal point; I read that patriotic designs were popular among quilters in this era. I embroidered the outline, with the intention of adding detail with the quilting. I finished the top on March 23, basted it, and started quilting. By mid-April, I decided that my basting stunk, pulled out hours’ worth of hand-quilting, and re-basted using Sharon Schamber’s method. I finished the quilting on June 18. Most of the quilting is done with off-white thread on the off-white fabric. On the red borders, I used a variegated brown thread and outlined the flowers in the print. I was relieved with how the arrows came out! I love the design and all the connections it made for me. I loved (loved!) doing the embroidery! 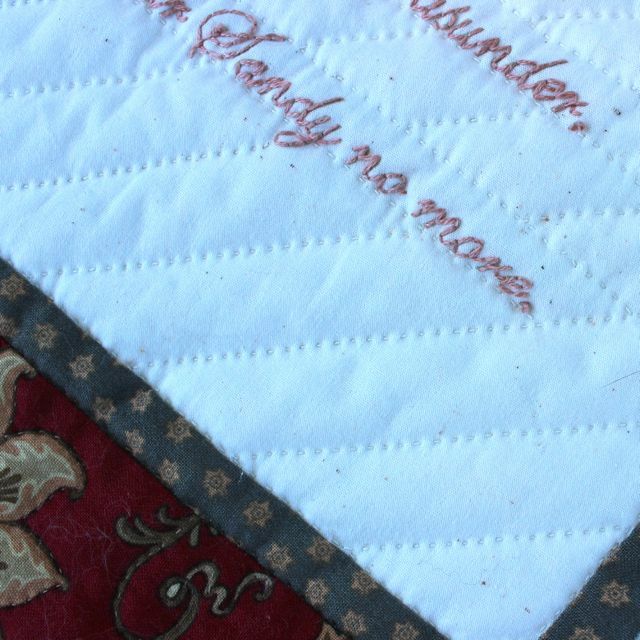 That came as a big surprise—now I’m thinking about other projects that incorporate embroidered words in similar ways. 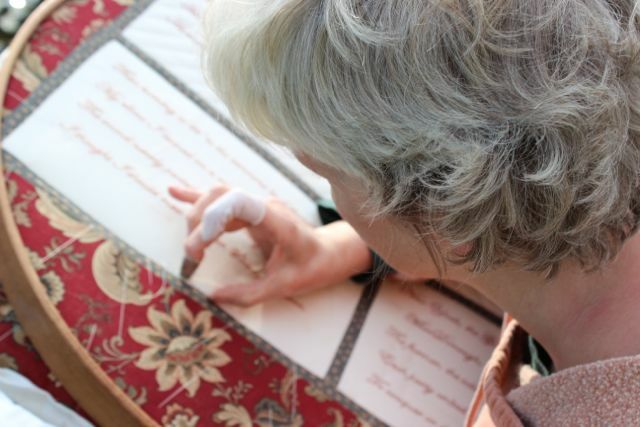 I loved the hand quilting. There’s something about making those tiny stitches and seeing the fabric transformed that really makes me happy. As always, the basting. But this new method I’ve learned helped a lot. I didn’t enjoy the parts I did on the sewing machine. I sewed the long seams by machine and, even though I am very happy with my new Singer Featherweight, machine sewing still gives me agita. The deadline. I’ve never made a quilt under deadline before and the deadline was a source of a lot of anxiety. It didn’t help that the whole time I was working I thought the deadline was June 30 but then, about two weeks ago, I read the small print and learned the deadline was August 31! So the deadline made me super nervous, but it also meant I got the quilt done MUCH more quickly than I’ve ever finished a quilt before (the last one took 17 years to finish). 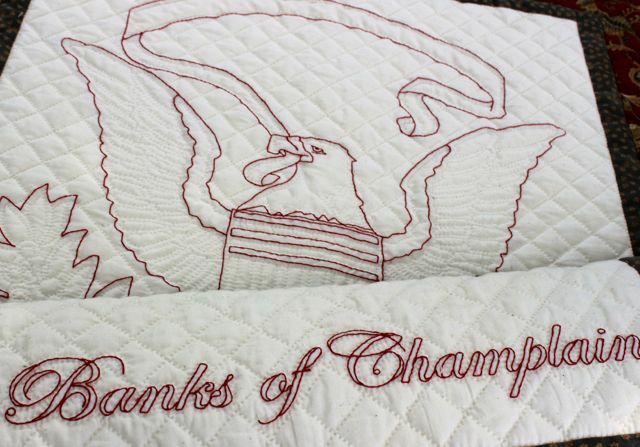 This quilt will hang with others—some traditional, some non-traditional, some made by experts, some made by school kids—in a public space in Plattsburgh during the Battle of Plattsburgh commemoration in September, 2014. 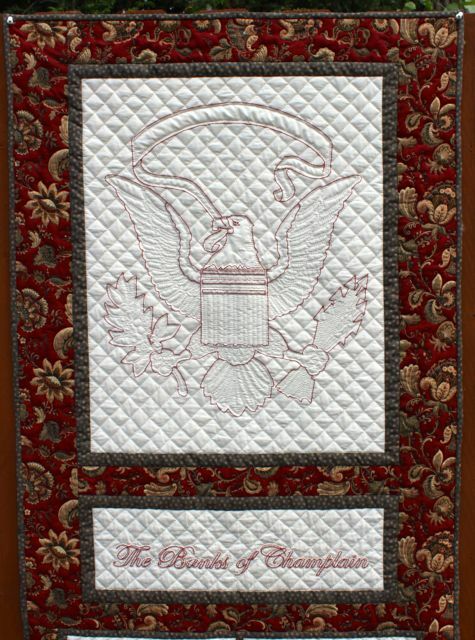 I’ll probably share some photos of other “Cot to Coffin” quilts with you then. Thanks so much for accompanying me through this project and letting me show off the final product! 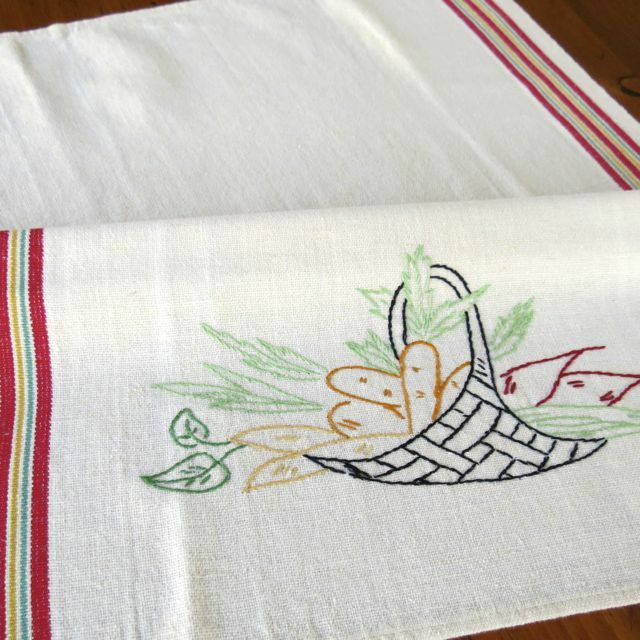 This sweet towel is one of the first items I listed when I opened my Etsy shop almost three years ago. You may recall that I see my shop as a sort of SPCA for unwanted linens. Many other items have sold in the meantime but this little towel just sits and waits. I’ve begun to feel very sorry for it—it deserves a loving home. I could lower the price so it might sell but, honestly, I’d rather give it to someone who would really appreciate it than to sell it to someone who isn’t willing to spend ten dollars for it. So, if you think this pretty towel would make a nice addition to your kitchen and would promise to love it forever, leave a comment assuring me of that. I’ll choose a random winner (assuming more than one person wants the towel!) next Sunday. And to sweeten the pot, I’ll also send the winner a balsam sachet I made. 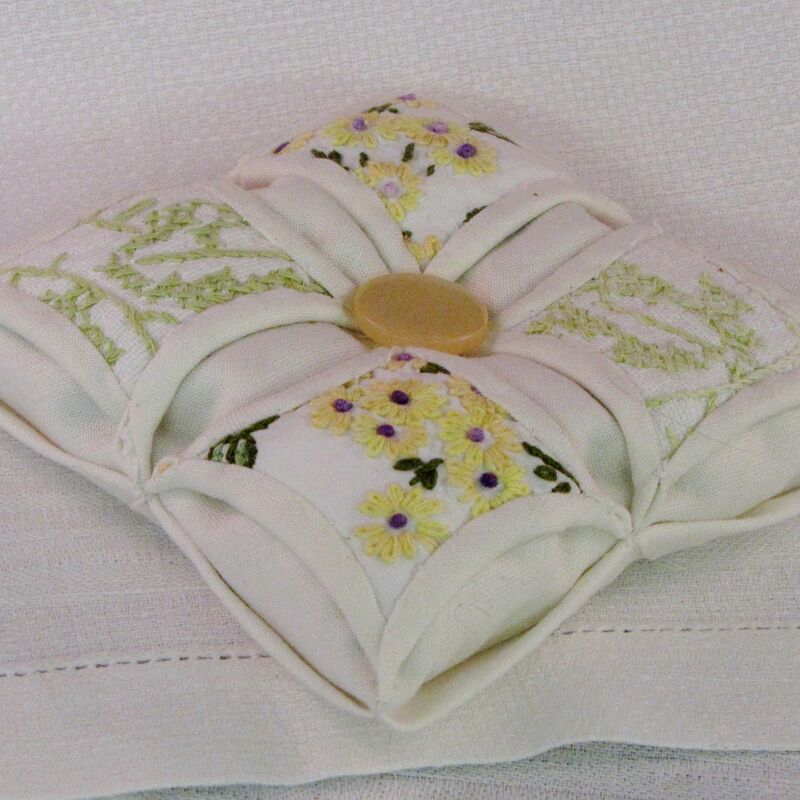 I made it with the cathedral window piecing design and used bits of damaged vintage linens, with embroidery, in the “windows.” It’s filled with Adirondack balsam needles and smells yummy! Leave me a comment if you’d like your name entered in the giveaway; anyone is eligible so international readers can get in on this, too! ** Edited to add: If the winner lives in a country that will not allow balsam to be shipped in, as seems to be the case with New Zealand, just let me know and I’ll send the towel only! I spent a lot of the day yesterday stewing. I thought about the things I should be doing and didn’t want to do any of them—I didn’t want to blog. I didn’t want to quilt. I didn’t want to iron linens or list them on Etsy. I didn’t want to thread the damn heddles on the loom. I didn’t want to follow Weight Watchers. It was a thick and heavy stew. Then it dawned on me—stewing in the summer doesn’t make sense. Stews are for winter and, even then, they taste good only occasionally. They have too much stuff in them. They weigh a person down. I wanted a different concoction for summer. Something lighter, easier. I had just the recipe but hadn’t made it for far too long. I needed to dig out my old favorite recipe for “camp,” and make a big batch. I started with sunshine and a stiff breeze to blow the bugs away. These ingredients have been scarce this summer but I was able to find them when I needed them. I added a book, a real book. A kind of heavy book, both physically and intellectually, because even a summer meal needs some nutritional value. I stirred in a chaise lounge, in the sun, near the peonies, and a fleece blanket to tame the breeze. I napped while it all simmered. I finished the recipe with a smoky campfire, and seasoned it with some homemade music and a little bourbon. It was a wonderful, restorative meal. And today I’m having leftovers. I’ll add a garage sale or two, just to spice things up, and go out for a deep-fried lunch, with family and a beer, two ingredients guaranteed to make leftovers better the second time around. But the basic ingredients will stay the same. Because the recipe for “camp” is a classic and it never gets old. Something so good can’t be bad for me, right? What are you cooking up today? I’d be happy to share my recipe.